Hello, this is my homepage. 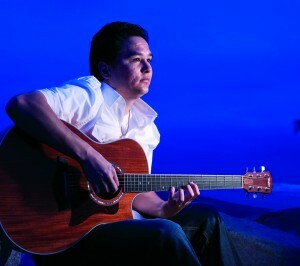 I am Kevin Kamaka Mullen, a slack key guitarist performing in San Diego. I am currently working on building this site! If you need Hawaiian music for an event, please don’t hesitate to drop me a line. I have been a Hawaiian slack key guitarist in San Diego for numerous years. I am the youngest member of “The Southern California Slack Key Society”. I have been performing Hawaiian slack key guitar in Oceanside since 2008. By playing Hawaiian music in several restaurants, weddings, charity events (including Ronald McDonald House Charity), parties, and lu’au(s), I have developed into an accomplished Hawaiian slack key guitarist. I am offering Hawaiian slack key guitar lessons in oceanside to San Diego County residents. I have been a student of Patrick Landeza, and have also taken workshops from George Kuo, Cyril Pahinui, John Keawe, and Dennis Kamakahi. In August 2010 I had the honor of playing slack key guitar in the O’ahu Slack Key Festival in Kapiolani Park, Waikiki with Patrick Landeza and his students. In 2015 I had the Honor of being the opening act for Kawika Kahiapo in Temecula though Mehe’ula Music Productions. A couple of following years in Temecula Through Mehe’ula Music Productions I had the please of Playing with Willie K for his VIP event in 2016 and being the opening act as well as playing for the VIP event for Na Hoku award winner Maunalua. I love to write my own compositions for slack key as well as playing traditional Hawaiian favorites. And now I have my own Hawaiian slack key guitarist, and ‘Ukulele solo album being released to digital retailers such as CD Baby. My First album released in 2010 is titled Kevin Kamaka Mullen “Ke Au Hou” with the subtitle Hawaiian Slack Key Guitar. Ke Au Hou means a new era, or stage in life; which represents my new development into an accomplished up and coming Hawaiian slack key guitarist. My Second album was released in 2013 and is Titled “Me Ke Aloha” which is dedicated to my niece Kealoha. I believe that slack key will not die out and it is my duty to pass on these once secretive music practices. For Hawaiian Slack Key Guitar lessons send me an email with any questions and comments. "I MUA" (3rd album) by Kamaka Mullen. New Arrival!